Photo: New rescues are happy to be at our rehabilitation home learning skills that will help them stand on their own financially after graduation. We are happy to report that in December, 10 new girls and women (ages 16-31) were rescued from tragic slavery situations by local volunteer groups with the help of the police and were brought to live in the safety of our Nepal ‘She Has Hope’ rehabilitation home. All of the girls shared stories with us of terrible deception by men they trusted, coercion, extreme and prolonged abuse, as well as the extremely brave stories of their narrow escapes that brought them to our home. The main reasons why most girls and women are susceptible to become victims of trafficking are poverty, unemployment, and illiteracy. Such desperation makes them want to believe the lies of the traffickers as they tell tales of high wages and prosperity they can bring them and their families if they will travel with them to cities in other countries. This is why we are deeply thankful that all 10 girls and women are are now living in the peaceful, restorative environment of our Nepal rehabilitation home, where they are receiving counseling and medical aid and safe room & board. 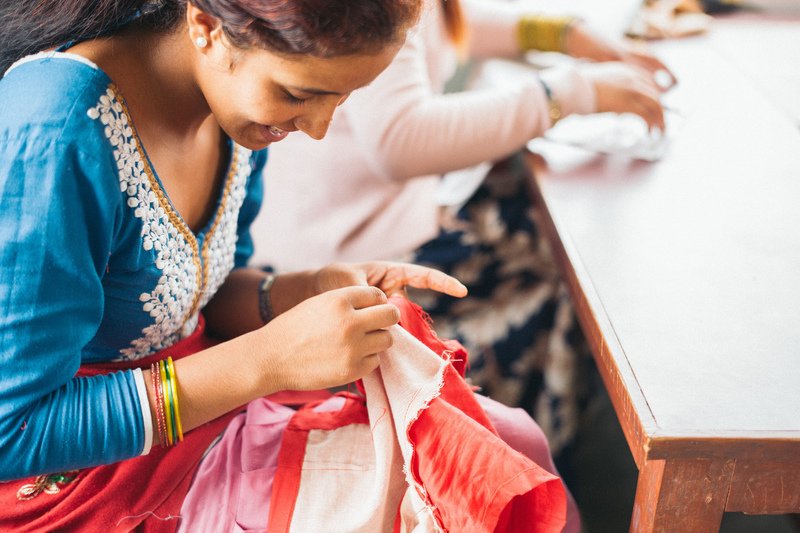 They are also becoming skillful in several craft-making, seamstress, and cooking techniques — they are currently learning how to make popular Nepali dress designs and how to knit woolen sweaters. The girls are also receiving support in basic literacy through daily coursework offered by our loving, full-time teachers. In addition, the girls are growing onions and garlic in the rehabilitation home garden, and they are looking forward to an abundant harvest in March. In their free time, the girls love to relax by watching their favorite TV programs together. Thanks to your generous support, all of these benefits and blessings will transform the course of their lives forever, providing a redemptive future of hope, peace, confidence, and economic independence. We also organized trafficking awareness programs in four different schools in December where we trained 202 girls (ages 14-19). We taught the girls how to use their mobile phones and social media safely and responsibly, to be aware of fake love and fake friendships, and to not trust people they do not know. Our trafficking awareness programs are formatted in a workshop & discussion style, which give the girls a safe environment where they can talk about guilt, fear, shame, anger, and their safety — they are encouraged to be open and honest. Thus, the girls are empowered to recognize the deceit of traffickers and make wise decisions. 18 of the children (ages 8-17) who live at our orphan home took their second term exams in November and all of them did extremely well, receiving A’s and B’s. To celebrate their hard work and the holidays, our native team threw a Christmas party for all of the children at the orphan home. The children enjoyed singing, dancing, and a special breakfast of bread, hardboiled eggs, and warm milk. For lunch they enjoyed chicken curry and rice, cauliflower, salad, oranges, apples, bananas, candy, and Christmas cake. All of the children also received new clothes such as pants, shirts, jackets, shoes, and socks as Christmas gifts. In other good news, our children from the orphan home are doing well since starting back to school earlier this month — we have 21 students (ages 8-18) enrolled again this semester. 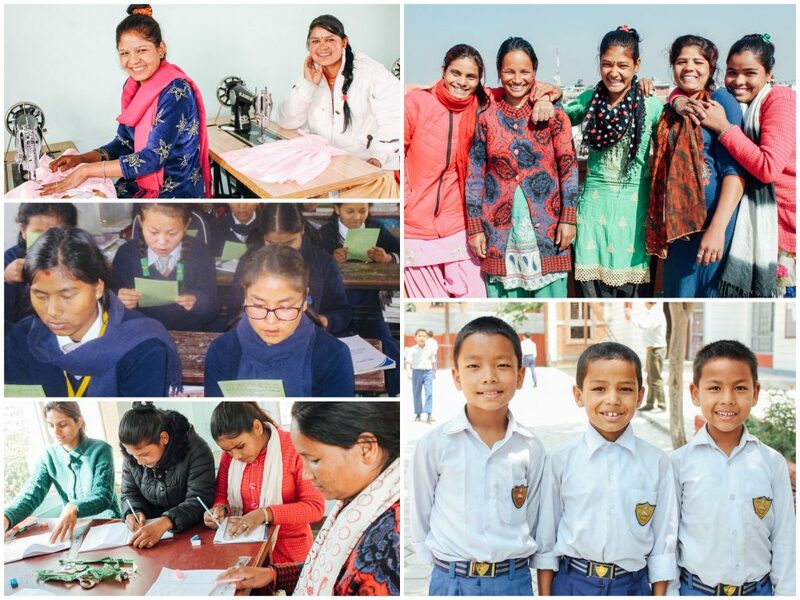 They are studying their native Nepali language, math, science, social studies, history, geography, computer skills, and English. When the children are not studying, they love to play ping-pong, Badminton, football, Carrom (a cue sport-based tabletop game), and chess together. We are grateful for your prayers and faithful donations which greatly encourage our field director and his native team in their hard work to rehabilitate these children and girls and prepare them for a successful future full of joy.